Flying with a special needs child can seem overwhelming and even terrifying. With so many unknowns, how can you adequately prepare your child? We found a great resource called Airports and Special Needs Travel: A Complete Guide that covers the basics very well. Feel free to read it in its entirety, or read on to get the details you need. Every parking lot in the United States has parking spaces reserved for people with disabilities, and airports are no exception. However, if you don’t have the proper tag or license plate you’re not allowed to park in these spots. 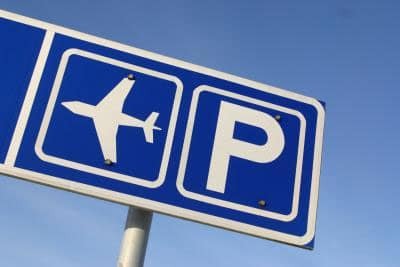 You’ll find some airports that offer free or discounted spots for cars with either a disabled placard or license place. Some airports even provide special parking accommodations for any traveler that has a special need, even if they don’t have the requisite license plate or placard. Check with your local airport to see if they offer any special accommodations for your family, or keep it simple and get a ride to avoid the parking hassle all together. Save time by checking in and choosing your seats before heading to the airport. Keep in mind though that you’ll still have to check your bags when you get there. At most airports you’ll have the option to skip the lines by checking your bags curbside. Skycap will take your bags, print out your boarding pass, and let you simply walk from the curb to security. This will significantly lighten your load on the day you fly – and allow you to focus on your kid. Make sure your child is prepared. Do whatever you can to make sure your child is prepared, whether this means social stories, practice, or visual aids. Find out about special lines. All airports have special lines for use by families like yours. These lines can help you avoid super-long lines and reduce the chances of a meltdown. If you can’t find the line, talk to a TSA officer to see how they can meet your needs. Know your rights. Check out the Transportation Security Administration’s guide for children with special needs. Before traveling, read it thoroughly and know what your rights are. As you walk toward the gate, take that opportunity for a bathroom pit spot. You’ll likely find a family bathroom right in the main terminal area. Research the airport you’re traveling to and from to find out if they have light displays, which can cause issues for kids with sensory issues. There’s likely a way to get through without using them. Finally, don’t be afraid to ask for a shuttle cart if the walk to your gate is long and you don’t want to put your child through it. 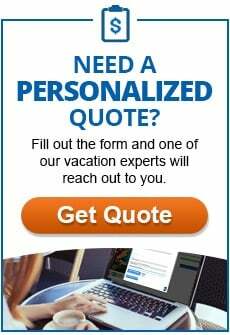 Trey Duling is the owner of Affordable Travel of Orlando and the also the owner of Resort Home Network Orlando, LLC. Trey is originally from Nashville, TN but he moved to Orlando in 2002. His hobbies are spending time with his three great kids, traveling with his wife (Amanda) and going to Ole Miss sporting events.